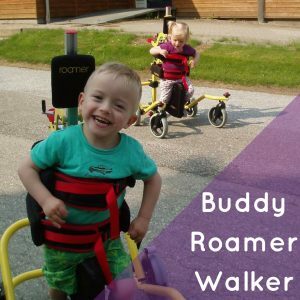 One of our favourite products we sell is The Buddy Roamer walker! The Buddy Roamer is a posterior walking aid that provides weight bearing postural support with mobility. This fantastic walker is ergonomically designed to let your child walk around freely and unaided. The Buddy Roamer walker is simply amazing and will make your little one smile and feel invincible! 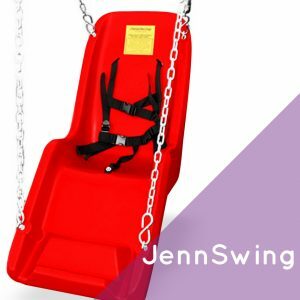 The JennSwing is an incredible product designed especially for children with special needs! It has been making families smile in the U.S. for years and we are so proud to be able to share it with Australia. The JennSwing lets your child enjoy the relaxing and simple pleasure of swinging that all kids should be able to enjoy. We are excited to let you all know that we are now booking into late August and early September for trials! Make sure you get in early with your trial bookings so you can experience our fabulous range of equipment for your child. Make sure you fill out our trial request form on our website if you’d like to trial anything from our range. Meet Kylie Simons! 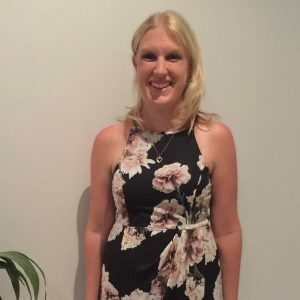 Kylie has just joined the Special Needs Solutions team as Administration/Accounts and PA for Tiff. We are so excited to have her working with us. Welcome Kylie! We would also like to let everyone know that the NDIS has been brought forward with Rockhampton and Gladstone, now transitioning 1 November! Our next road trip is the perfect opportunity for families that need a quote for their NDIS plan. Come along and trial our wonderful paediatric equipment so you know what your child will require on your plan. We want to empower families so that they are confident in their NDIS plans. Our amazing team have already been working with so many families with plans and we have been to many NDIS meetings. We want to share what we’ve learnt to help you; so come and ask us! Firefly is Flying Out the Door! Our Firefly products have been flying out the door! Don’t worry, we have another air freight shipment arriving in three weeks. If you would like to order any of the amazing Firefly products prior to the end of the financial year, contact us now and we can reserve equipment for you from the next shipment. Did you know that your eligibility for CAEATI and VOSS funding ceases 3 months prior to your area transitioning to NDIS? MASS funding continues up until the date you sign your NDIS plan. If you’d like more information about CAEATI/VOSS/MASS Funding, go to this link or contact us. Gladstone, Rockhampton and Mackay, it’s your turn! From 10 July we will be travelling to your great towns to share our exciting range of products and equipment with you all! We cannot wait to see your beautiful faces! Just a reminder to fill out our trial request form by Friday 30 June if you’d like to trial any of our fantastic products when we come to visit. The R82 Scallop is one of wonderful new products that we are so happy to share with you. The Scallop is a sensory stimulation seat to accompany all ages, abilities and needs. This great new product is available in 4 sizes, 2 styles and 4 colours that are reversible. It can be used for floor sitting or attached to a chair. Check out this fantastic video that shows just how incredible this product is. It’s finally here! The ATSA Daily Living Expo is this Wednesday 24 May. Yes, this Wednesday! We can’t wait to see you all at the Royal International Convention Centre in Brisbane where we will have an amazing range of equipment and a super fun photobooth! Don’t forget to register that you will be coming to see us on Wednesday for your chance to win a Splashy bath seat by Firefly.